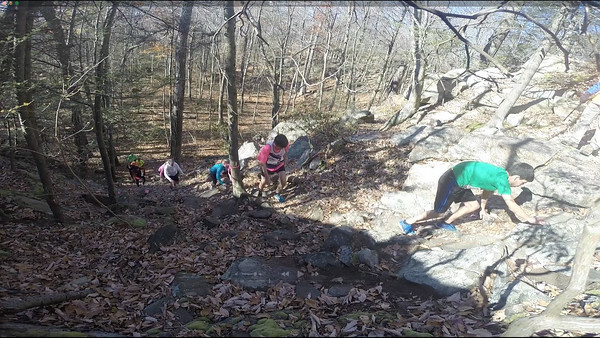 Just before the water stop at the site of the once and future (hopefully) fire tower, the Blue trail climbs at a very steep angle. Photographer Chris Reinke is used to taking photos in the Mud Flats of the Leatherman's Loop and he set up his GoPro near the top of the "Nevermore" hill. Set to some Leonard Cohen (R.I.P.) music.